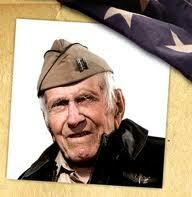 Louie Zamperini did a lot of daring things in his life. As I devoured the pages of Unbroken, which chronicles the story of his life, I found myself continually amazed that the book is nonfiction. How could one person bravely withstand so many hardships…and live to tell about it? As a bombardier in World War II, Louie valiantly embarked on missions in the Pacific, knowing that his craft could be shot down at any moment by Japanese planes or face the equally dangerous prospect of mechanical failure over the vast ocean. But his battles in the war were only the beginning. He survived a fiery plane crash. He fended off sharks with his bare hands. He faced starvation, extreme heat, and enemy fire. He endured emotional and physical torture in a POW camp. But in my mind, none of those things, heroic as they are, constitute his most daring act. No, his most daring act was that he hoped. Louie hoped when it was ludicrous, possibly even insane, to keep on hoping. Every time something good comes his way and you think he’ll finally get his break, things blow up in his face. Yet somehow he never gives up hoping. When the few chocolate bars—the only food left for the three men stranded on the raft—was scarfed down in a single sitting by one of his fellow survivors, Louie didn’t give up hope. When their precious bait was snatched up by greedy sharks, he didn’t give up hope. When he managed to grab a large seabird with his bare hands and the meat turned out to be inedible, he didn’t give up hope. When the plane that flew overhead turned out to be enemy aircraft instead of their salvation, he still didn’t give up hope—not even when the plane opened fire and their raft became riddled with bullet holes. Given the dismal record of raft-bound men, Mac’s despair was reasonable. What is remarkable is that [Louie], who shared Mac’s plight, didn’t share his hopelessness….It had not yet occurred to him that he might die. Yes, this was Louie’s most daring act: he hoped against all odds, against all evidence to the contrary. tears flow down my cheeks. any who might encourage me are far away…. My spirit is poured out in agony. Like Louie, the prophet dared to hope when those around him could see only despair. Today I pray that you will make the daring decision to hope. Against all odds. Against all evidence to the contrary. May you have hope that your tragedy will end but that the Lord’s love never will. May you have hope that the morning will come again, and so will his mercies. May you have hope that his faithfulness is greater than whatever struggle you’re up against. And when all hope is gone, may you have hope that he will plant new hope in your soul again.